Johannesburg, South Africa, 14 Nov. 2018: – The African Export-Import Bank (Afreximbank) has launched a project preparation facility aimed at increasing the availability of viable well-prepared projects in Africa and at making such projects bankable and attractive to investors. 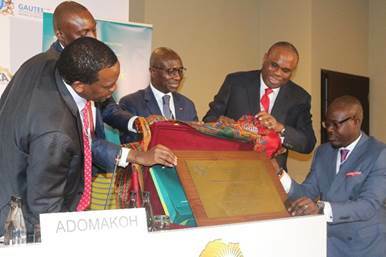 Afreximbank President Prof. Benedict Oramah (2nd right) joined by Jean-Louis Ekra, former Afreximbank President (3rd right), unveiling the APPF plaque alongside (R-L) Ayo Mubarak of the Afreximbank Project Finance and Export Development Department; Zitto Alfayo, Manager, Project Finance, Afreximbank; and Tshepo Mahloele, Chief Executive Officer, Harith General Partners. The Afreximbank Project Preparation Facility (APPF), launched in Johannesburg, South Africa, on 8 November on the sidelines of the Africa Investment Forum, will provide technical and financial support to early stage companies in the preparation and development of projects from conceptual stage to bankability stage, the point at which such projects can attract interest from equity investors and debt financiers. 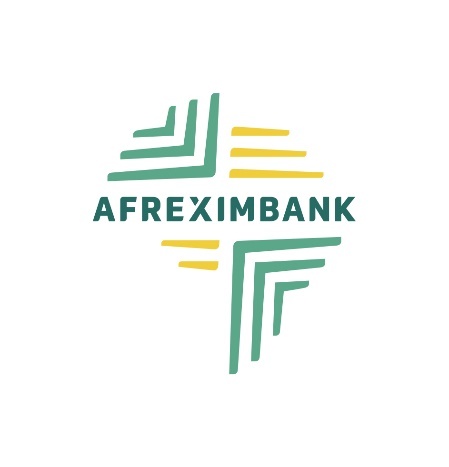 Afreximbank has set up the APPF with an initial seed capital investment of up to $15 million. Speaking during the launch, Afreximbank President Prof. Benedict Oramah said that the facility would support transactions that sought to implement logistical platforms that supported export growth and diversification, or facilitated the assimilation of African commodities into global value chains, or increased the volume and flow of tradeable goods and services along Africa’s trade corridors. Also speaking, Tshepo Mahloele, Chief Executive Officer of Harith General Partners, a leading pan-African infrastructure developer, lauded the APPF as “a bold step in the right direction to assist Africa to unleash its full potential through de-risking of investments early on in the project preparation cycle”. Mr. Mahloele, who noted that the project preparation step was often overlooked in the pursuit of quick returns, said that Harith had ensured efficient and professional preparation of infrastructure projects. According to him, Africa has long been at the mercy of poor planning, leading to infrastructure project backlogs that has limited GDP growth by at least 2 per cent per annum. Afreximbank’s intervention will complement ongoing project preparation initiatives and culminate in shortening the project preparation cycle, thereby fast-tracking Africa economic development, he said. Zitto Alfayo, Manager, Project Finance, said that the APPF would be operated on full cost recovery basis and would be primarily open to African governments, public-private partnerships and private corporates. Further details about the APPF, including application procedures, can be obtained by contacting: Zitto Alfayo (email: zalfayo@afreximbank.com; Tel. + 20 22 456 4100); or Ayo Mubarak (email: amubarak@Afreximbank.com; Tel. + 20 22 456 4100). Also participating in the launch ceremony from Afreximbank were Kofi Adomakoh, Director, Project Finance; Vitalis Ekene, Special Assistant to the President on Banking and Special Initiatives; and Ayo Mubarak of the Project Finance and Export Development Department.